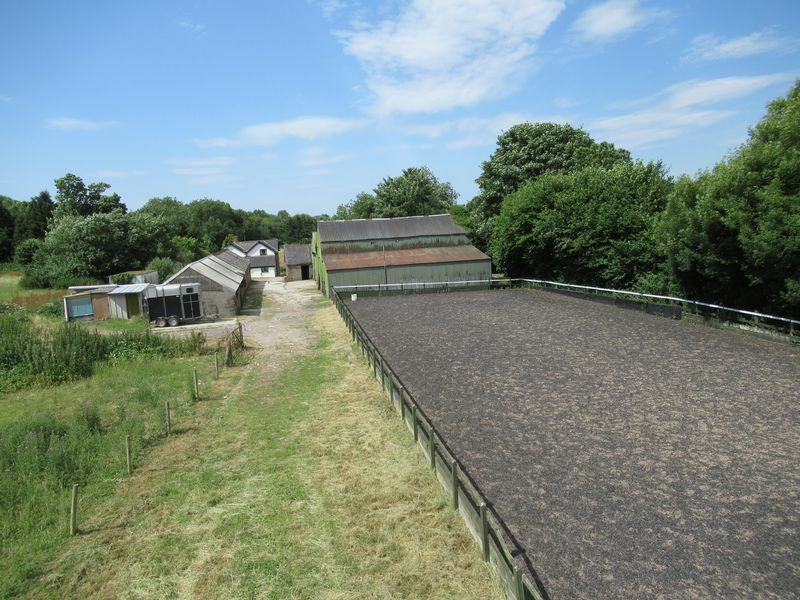 Whitehall Farm offers an exceptional opportunity to purchase an equestrian holding within the desirable area of the Vale of Glamorgan. 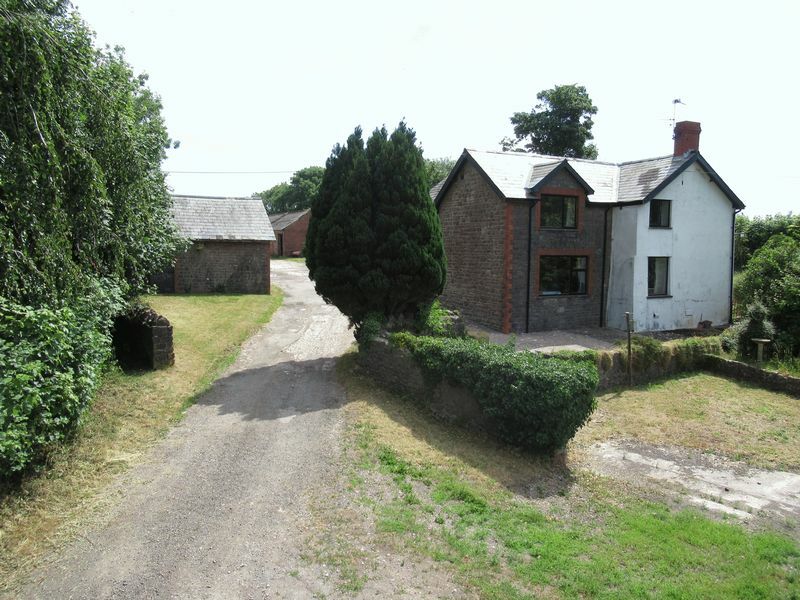 Whitehall Farm is in a sought-after location and is within close distance to the Welsh Capital City of Cardiff. 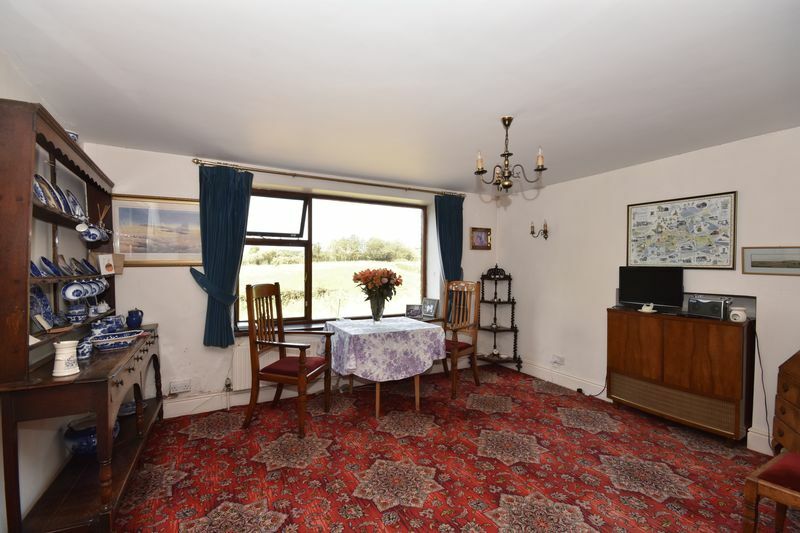 The farm comprises a 3-bedroom farmhouse, a range of modern and traditional farm buildings (some converted to equestrian use) ménage and approximately 43.55 acres of lowland pasture land. 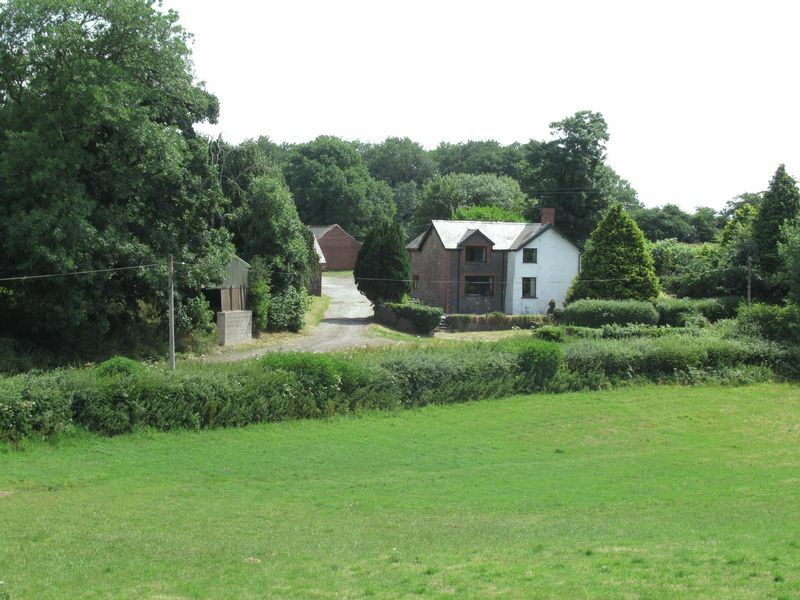 Whitehall Farm is situated at Twyn yr Odyn, to the west of the Village of Wenvoe and to the south – west of Culverhouse Cross, Cardiff. Convenient access is available both to the Capital City of Cardiff and the M4 Motorway at Junction 33. 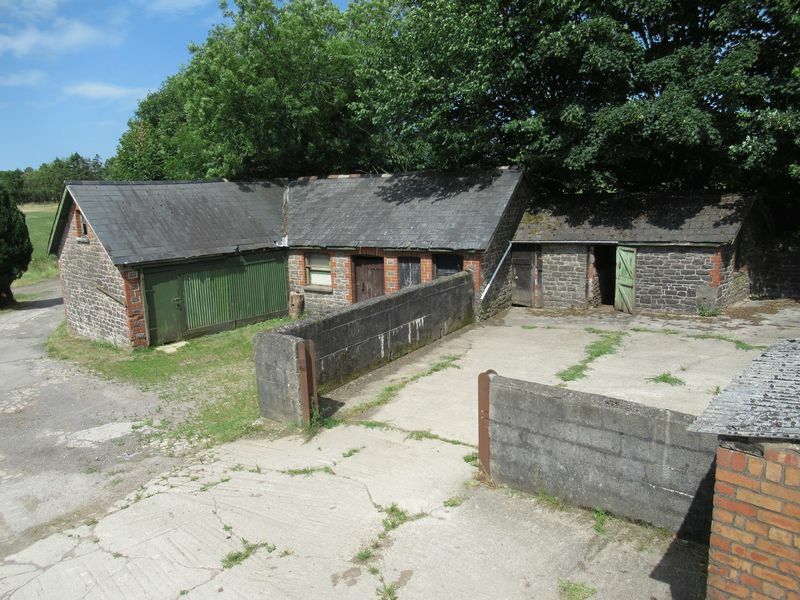 Whitehall farmhouse included within lot 1 is a traditional 3-bedroom farmhouse in need of general modernisation but offering huge potential in a secluded rural setting with exceptional convenient access to Cardiff, offered for sale with 13.08 acres, a range of traditional and solid stone farm buildings and ménage. Timber panelled entrance door to large ENTRANCE PORCH (12'7" x 5'9") quarry tiled floor, timber panel ceiling and windows to garden. Glazed internal door to HALLWAY (19'7" x 9'6" max) Double glazed window to yard, high pitched timber panelled ceiling, double glazed velux window, door to CLOAKROOM (5'1" x 2'6") low level WC and wash hand basin, fully tiled walls and frosted double glazed window. 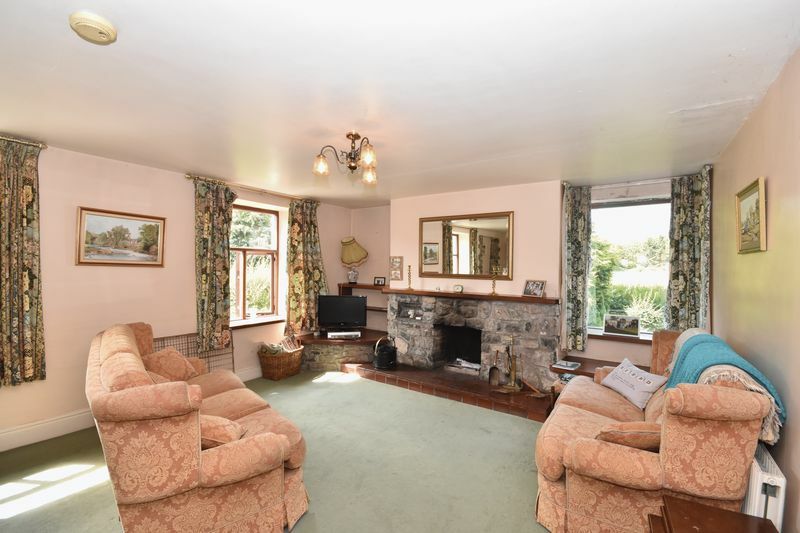 LIVING ROOM (24'1" x 14'5") double glazed windows with views to garden and adjacent fields, recessed working fireplace with natural stone surround, timber mantle and quarry tiled hearth, recess display shelving and base cupboard. Door to DINING ROOM (14'1" x 13') fitted carpet, double glazed picture window, door to deep under-stairs cupboard. 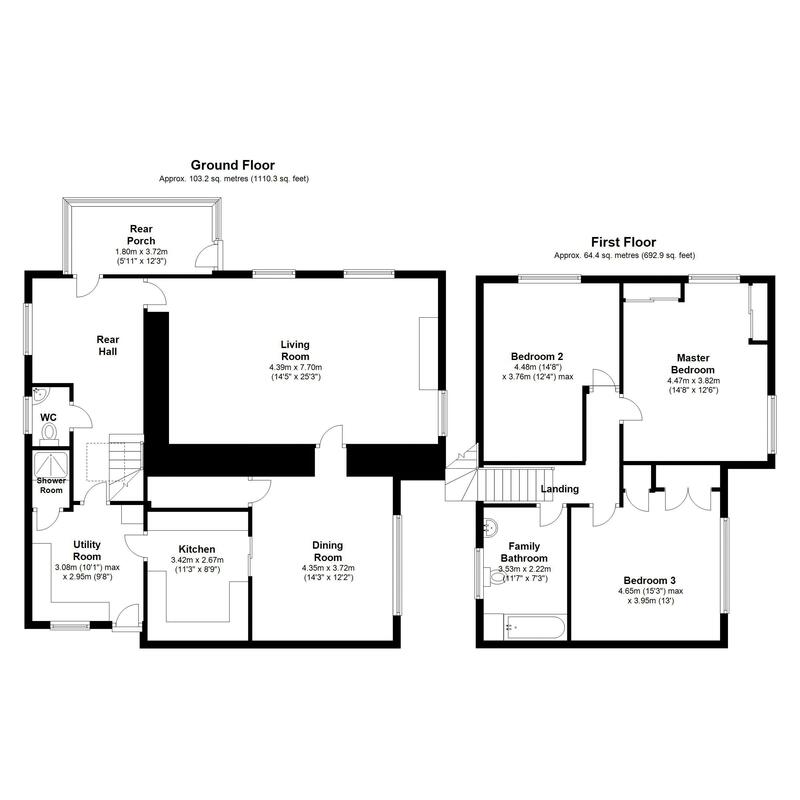 KITCHEN (9'6" x 10'6") timber fronted base, wall and tall cupboards with roll top work surface, inset sink, drainer and mixer tap, integrated double oven, ceramic hob, extractor, larder fridge and dishwasher, double glazed window to side elevation. Glazed doors from Kitchen and hallway to UTILITY ROOM (9'8" x 9'11") double glazed windows, fitted base cupboards and timber effect roll top work surfaces, stainless steel sink and drainer, space and plumbing for washing machine, Worcester oil fired central heating boiler, door to SHOWER ROOM (5' x 3'2") fully tiled shower room with a fully tiled shower with electric wall mounted shower attachment. Staircase from hallway to first floor LANDING fitted carpet, loft hatch, doors to BEDROOM 1 (15' x 12'6" max) double glazed windows with views to front and side, fitted carpet, built in wall to ceiling mirror doored wardrobes, double BEDROOM 2 (13' x 11'6") fitted carpet, double glazed window to front, deep built in double wardrobes, airing cupboard with copper cylinder tank. BEDROOM 3 (12'4" x 14'8" max) double glazed window and fitted carpet. BATHROOM (7'3" x 10'5") coloured suite including bath, low level WC and wash hand basin, fully tiled walls, double glazed window. The principal garden lies to the south of the farmhouse with lawn, raised flower beds, mature borders and trees. 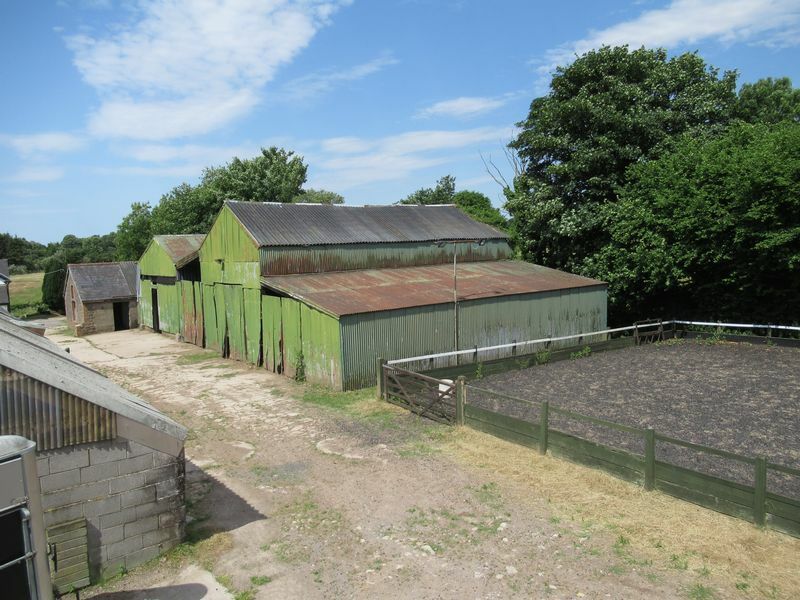 A yard provides parking with access to a set of outbuildings including traditional stone-built barns, a hay shed, a general purpose corrugated iron clad farm building and outdoor Ménage (Excluding Surface). Mains electricity and water are connected to the farmhouse. Drainage to cesspit. Oil fired central heating. •	A single storey solid stone brick building divided into six loose boxes and one tack room. •	A single storey building divided into seven loose boxes. 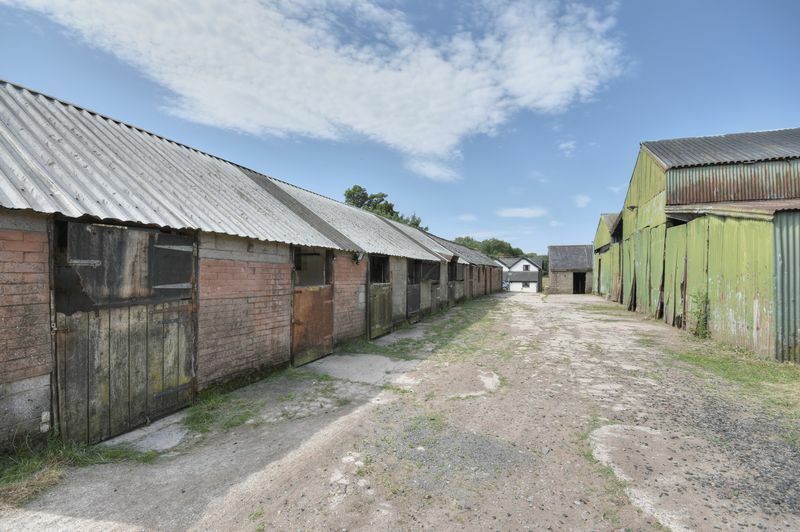 •	Corrugated iron clad brick and block building housing three stables. •	Outdoor ménage (Excluding Surface). Mains water and electricity are connected to the range of farm buildings. 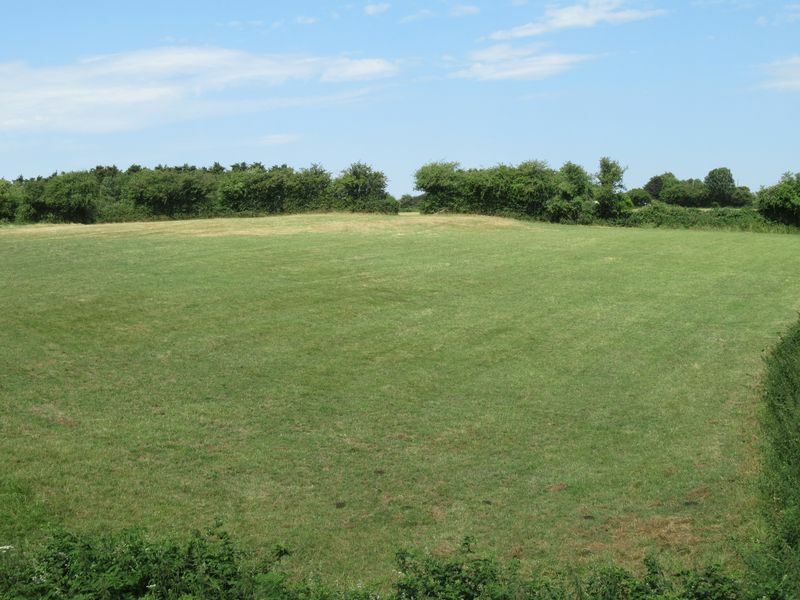 The equestrian holding extends in total to 43.55 acres. 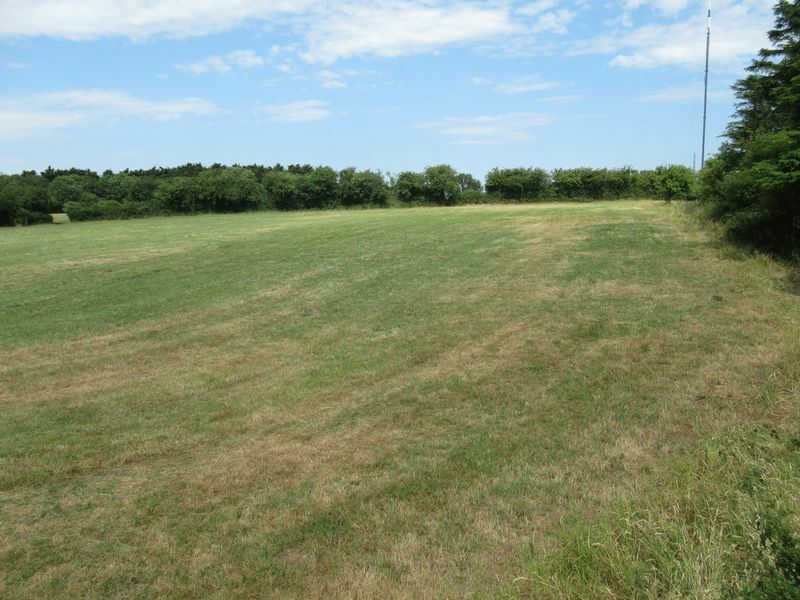 This is a lowland holding which lies at approximately 115 metres above sea level and benefits from good road or internal lane frontage. The majority of land has a predominate south and south west facing aspect either flat or with gentle slopes. 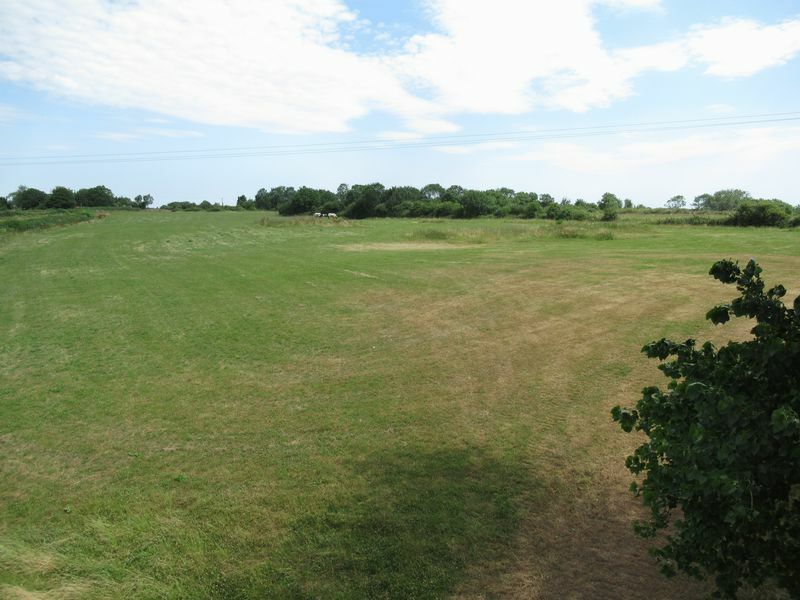 Part of the land has road frontage to the St Lythans Road with all of the land being accessible off the internal unmade road which leads to Whitehall Farmhouse and buildings. Individual lots will be required to obtain their own separate mains water supply. Prospective purchasers are advised to make suitable enquiries of Dwr Cymru Welsh Water as to the availability and cost of obtaining a mains water supply. The land falls into the Malham II Soil Series as defined in the Soil Survey of England and Wales. The land is classified at Grade 3 agricultural land on the Agricultural Land Classification of England and Wales sheet number 154. The purchaser(s) shall be deemed to have full knowledge of all boundaries and neither the vendor nor the vendors agents will be responsible for defining the boundaries or ownership thereof. 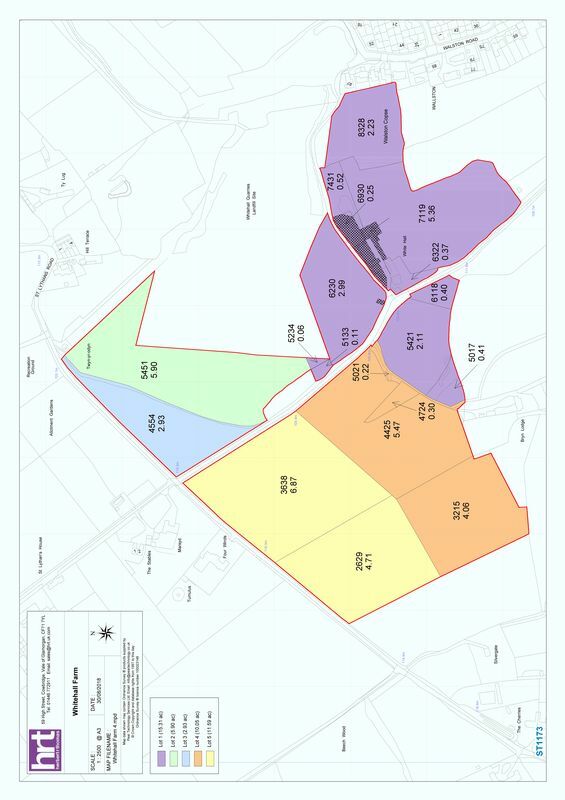 Whitehall Farm is available as a whole, or in 5 lots as shown on the plan enclosed. The property is being sold subject to and with the benefit of all rights including: rights of way, whether public or private, light, support, drainage, water and electricity supplies and other rights and obligations, easements and quasi-easements and restrictive covenants and all existing and proposed wayleaves for masts, pylons, stays, cables, drains, water and gas and other pipes whether referred to in these particulars or not. These are included in the sale of the Farm. The land and buildings cross hatched black on the plan will be sold subject to a 45-year Development Clawback Arrangement. The permitted use will be an Agricultural or Equestrian use. The earlier of the sale of the land and buildings with the benefit of a Planning Permission or the implementation of a Planning Permission will trigger the clawback at a rate of 30% of the Development Value or Sale Value less the current use value. Should any sale of the property, as whole or in lots, or any right attached to it become a chargeable supply for the purpose of VAT, such TAX shall be payable by the purchaser(s) in addition to the contract price. Given the potential hazards of agricultural land we ask you to be as vigilant as possible when making your inspection for your own personal safety. Mains water and electricity, cesspit drainage, oil fired central heating. From Culverhouse Cross roundabout take the A4050 towards Barry and at the first roundabout turn right onto St Lythans Road. Follow this road for approximately ½ mile around a sharp right-hand bend and pass the right-hand turn to “The Horse & Jockey”. At Twyn yr Odyn take the next turning left onto a wide unadopted road at the bottom of which you will find Whitehall Farm.